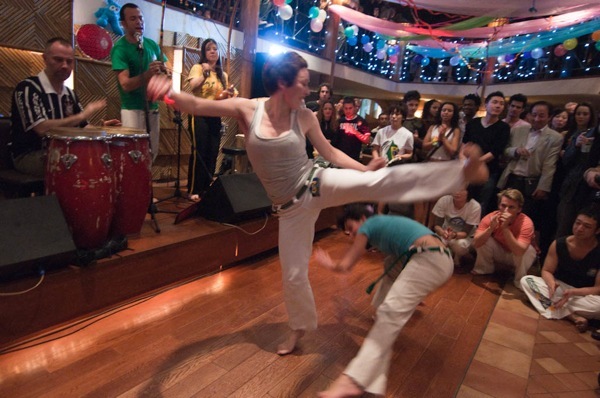 Don’t practice by yourself: ask the help of other capoeiristas who know the technic and can help you. As said in the video, use a “trained” person to help you! Please watch the video until the end since they are some interesting stuff about common mistakes. 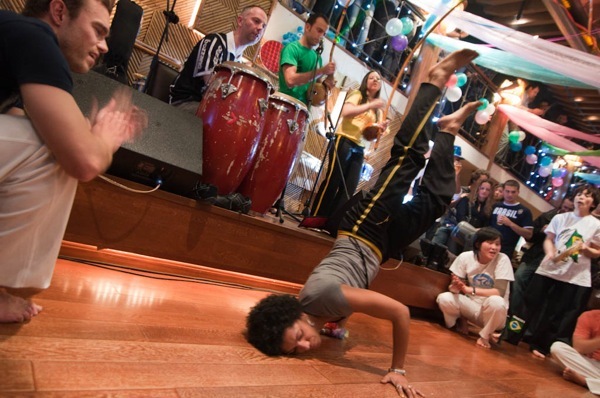 Pictures of our Batizado are online! 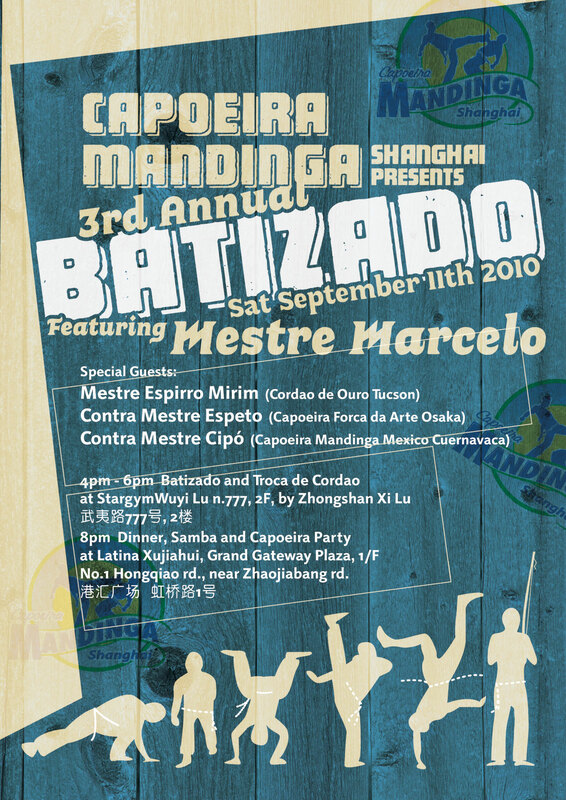 Batizado is coming and our camara Adam prepared a cool flyer for the massivities on Saturday 11th, so don’t waste time and invite your friends to our Troca de Cordao and Latina Party: Maculele, Coco, Roda… 170 RMB all you can eat delicious bbq and 2 free caipirinhas! 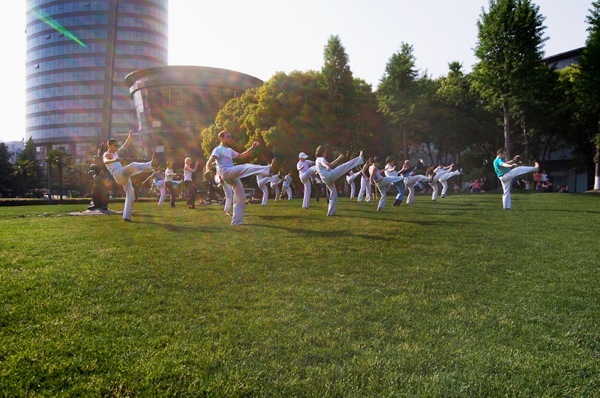 Enjoy the video from our roda in ZhongShan Park on May 1st!! Congratulations to Dalila, Gata, Matrioshka, Falcão and Rino for their new Cordão. 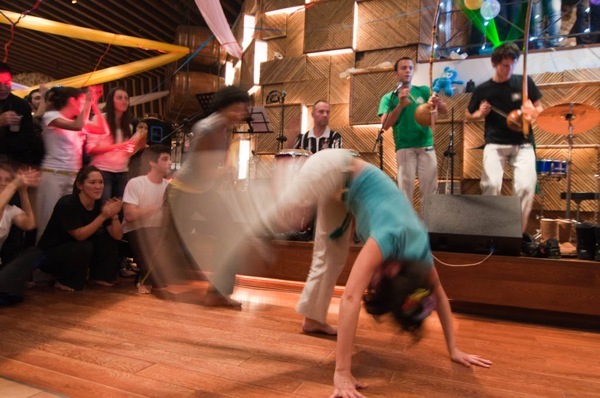 Brazilian Carnival at Latina: The Pictures! 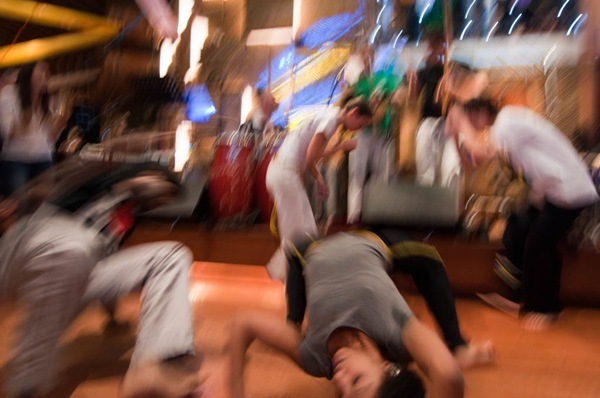 Capoeira is a Brazilian martial art form that mixes music, dance and gymnastics with its fighting components. 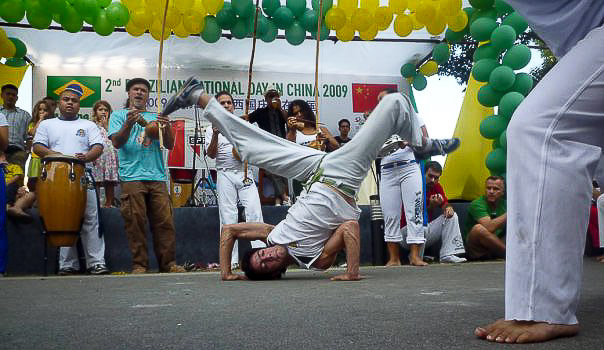 Its beauty, fluidity and explosive gravity-defying movements have taken the world by storm. 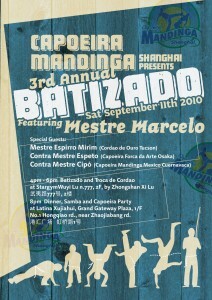 Capoeiristas can be found in movies, television ads, music concerts (Cantonese pop star Denise Ho hired Axe Capoeira’s Professor Berimbau to choreograph a Hong Kong show), and video games (Capoeira Mandinga’s founder, Mestre Marcelo, was the model for Tekken’s Eddie Gordo – one of the greatest video game characters of all time).